Print failures and 3D print nozzle clogging can easily be avoided through a meticulous set up and making sure filament can move continuously. 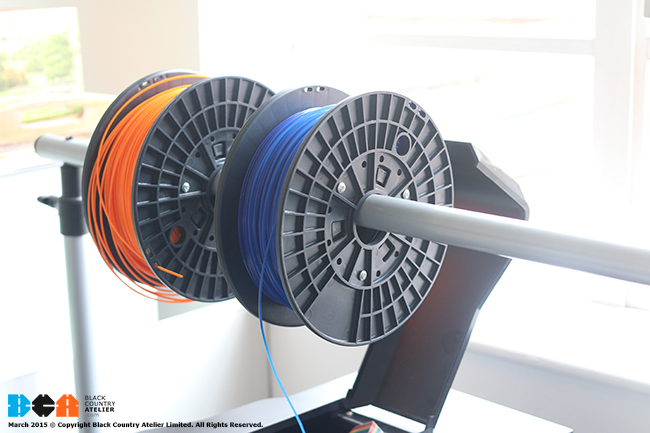 See our tips below on how you can make your own filament holder! 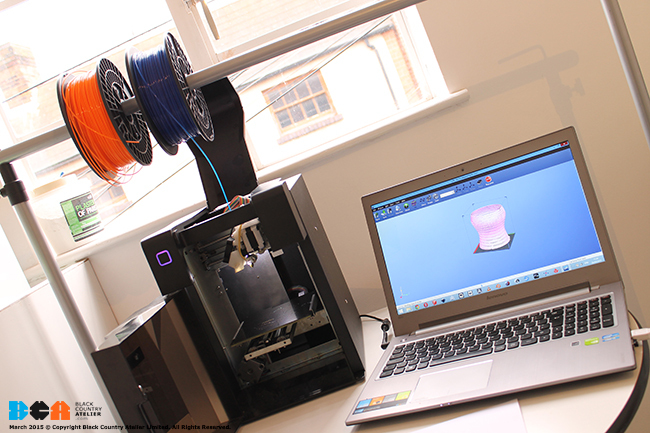 Our teacher tip of the week: Ensure the filament can move continuously. 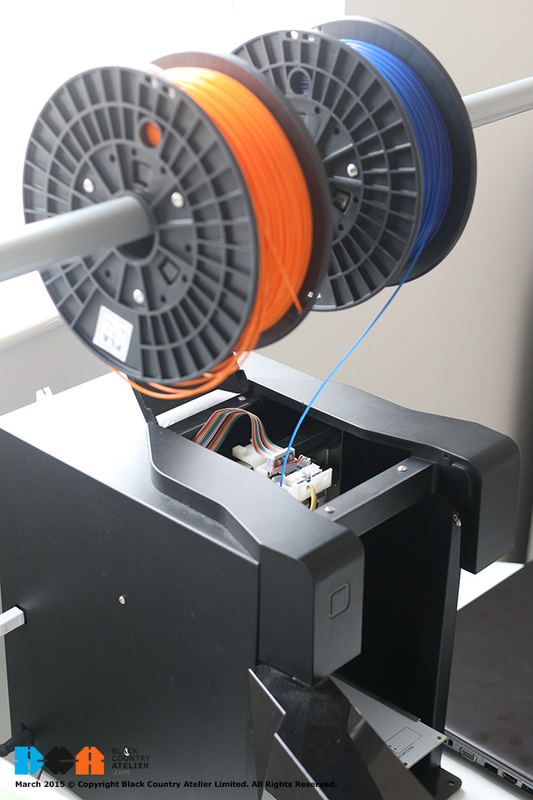 Try to set the filament directly above and behind the printer head. 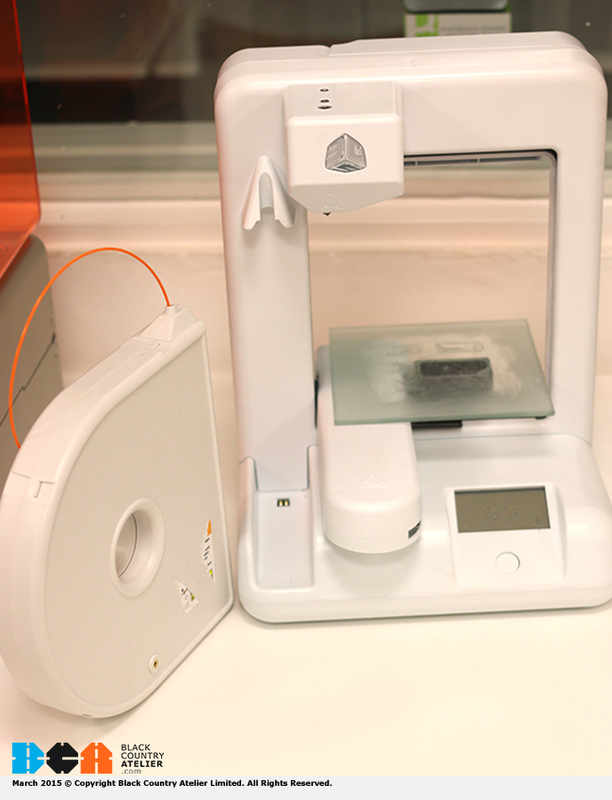 When it comes to 3D printing its tempting to just dive right in. 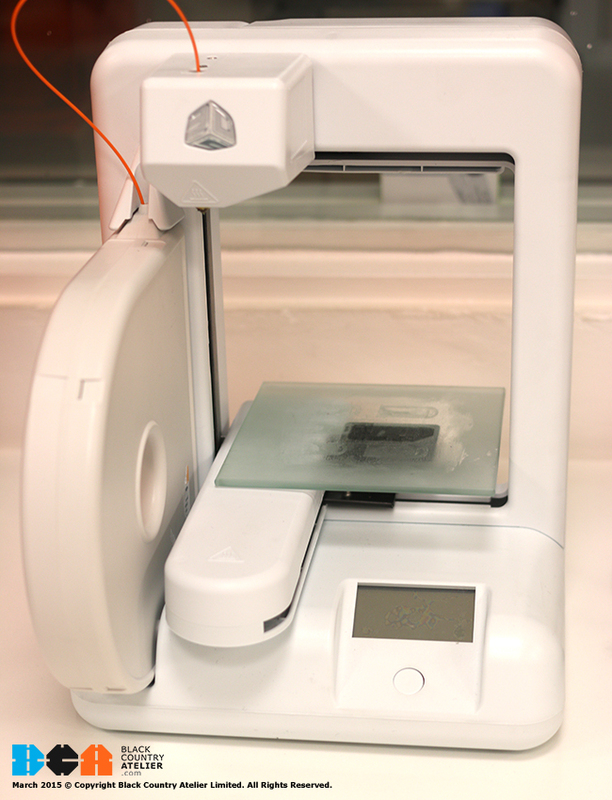 However, without a correct set up (such as the z-height) 3D prints will fail or lead to poor print results. The printer head needs to have a continuous supply of the filament, at a consistent speed otherwise the nozzle will clog and the print head unit will jam. 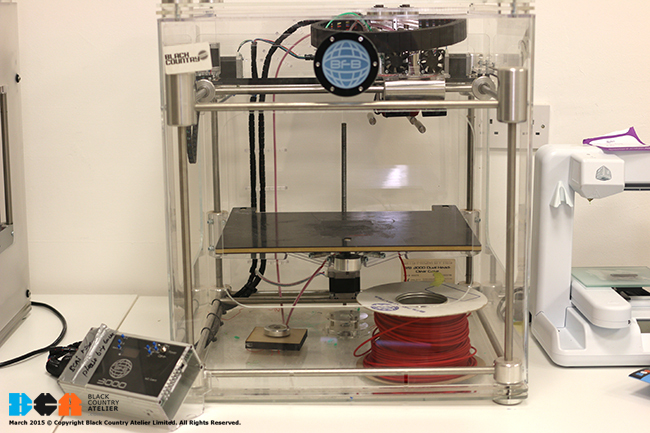 3D Systems have avoided this problem by only accepting official filament spools – however, what if you want (or have) a more open source 3D printer? Above: The 3DS Cube 2 with official filament spool cartridge. The UP! 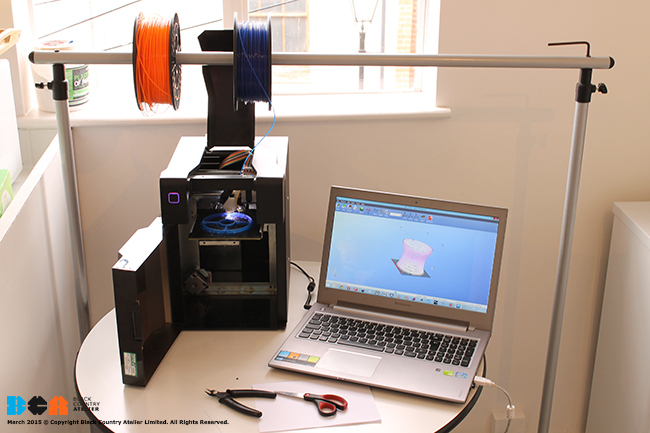 range of 3D printers are great printers and even comes with a spool holder on the side of the printers, however its not as free flowing nor strong enough for extra large economical school friendly spools you need for a massive classroom of students! 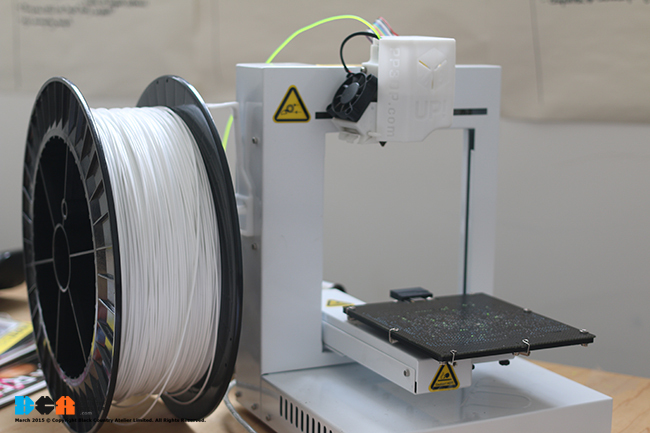 Our teacher tip of the week is to have the filament directly above and behind the print head unit – and you can do this without relying on expensive apparatus or inbuilt holders. With a quick trip to IKEA, you can make your own, just like David Brannon has at the BCA office. The hack is simple. 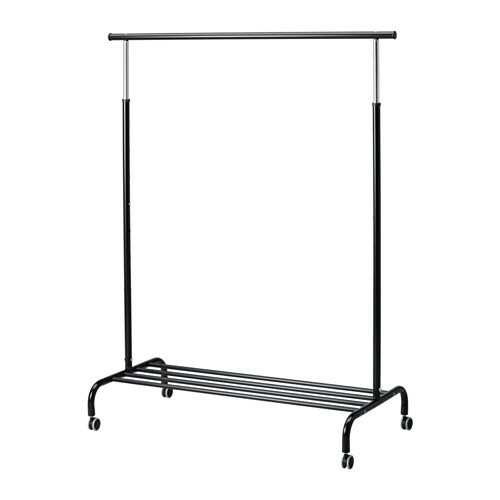 All you need is an adjustable coat rail from IKEA (other home stores are available) – we’ve picked the RIGGA as its easily adjustable, has wheels and we can load upto 5 or 6 spools on it. 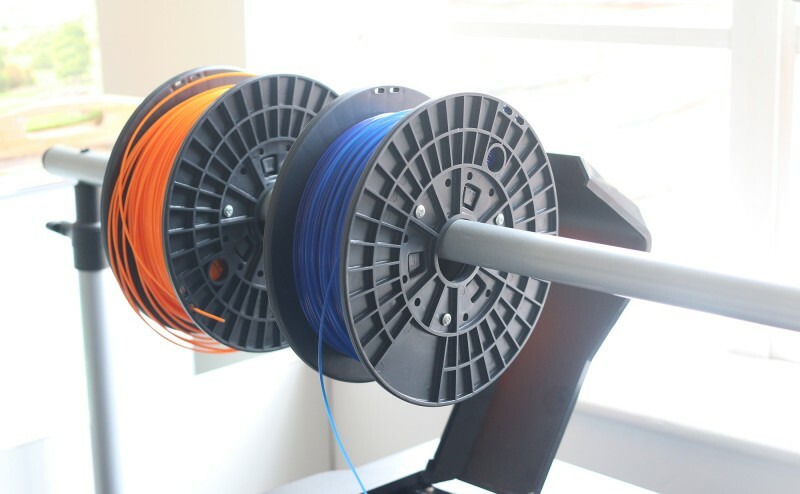 We can also have the spools high enough above the 3D printer to get the best, tangle-free, continuous feed to the printer head.